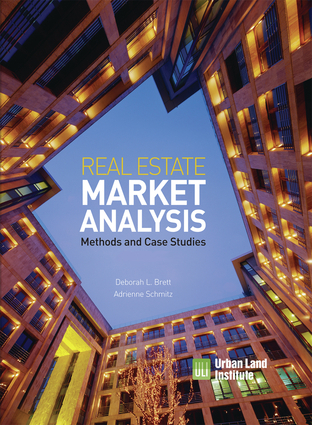 Offering the tools needed to evaluate trends and understand key factors affecting the real estate market, this book explains how to get started, where to get information, and how to apply the basic techniques to a variety of development types. This practical primer offers a step-by-step approach to developing property—whether public or private sector—and shows how market-analysis methods have been employed in real projects. The 13 case studies written by top market analysts provide models that can be applied to multifamily, hotel, office, industrial, entertainment, mixed-use, and/or master-planned communities. This is an excellent reference for real estate students and professionals to maximize potential in a troubled market. Deborah L. Brett is a real estate and planning consultant for a wide range of public and private organizations, providing project-related market analysis. She lives in Plainsboro, New Jersey. Adrienne Schmitz is a director at the Urban Land Institute, the world's leading real estate and land-use education and research institute. She lives in Washington DC.